Are You Reaching the Right Influencers? A top priority for any business is influencer marketing. But, are you reaching the right influencers, the people that will influence your customers and prospects to act in your favor. One of the biggest mistakes companies make is selecting one or two influencers or groups of influencers and focusing only on them. This strategy is guaranteed to miss important voices that can speak for your brand. As communication mediums continue to evolve, the type of influencers who brings value to your brand may change as well. Below are a few of the most important and lasting influencer groups to consider for your marketing strategy. Consumers, the everyday people who talk to friends, family, co-workers and acquaintances in person and online. Consumers remain the most influential voice a brand can leverage. Why? Because your customers make buying decisions on user reviews, social media comments and posts, and personal conversations, far more often than on advertising or content being pushed our by a brand. The question is, do you make it easy for your consumers to review your brand? Your company, including employees, partners, and executives are some of your best influencers. From executive thought leadership to developer conferences, or a neighborhood barbecue, arming your employees with the right message can drive influence in ways you may have never imagined. Mainstream journalists continue to have a significant impact on their readers’ actions. A positive – or negative – review can send buyers running. Which way, depends on your marketing strategy, and of course, your product. Knowing how to customize a strategy for each individual journalist is the key to a beneficial relationship. Some of the leading bloggers are on par with journalists as influencers. Many of their readers trust them to try products and services on their behalf, and buy based on their recommendations. Typically, marketers use blogs for their product reviews and contests, but the trick is finding ways to go beyond these tools to expand the impact and power of their voice. Celebrity influencers who use or praise a product will generate interest for the product among their fans. Unfortunately, capitalizing on celebrity endorsements can be expensive, however, there or innovative ways to reach and leverage their power. An alternative to celebrity influencers, social media stars are a growing resource for marketers. These individuals have built extremely loyal followings who take their word is like gold. They may be one of the best influencers available for many brands today. Finding the right influencers is the first step. 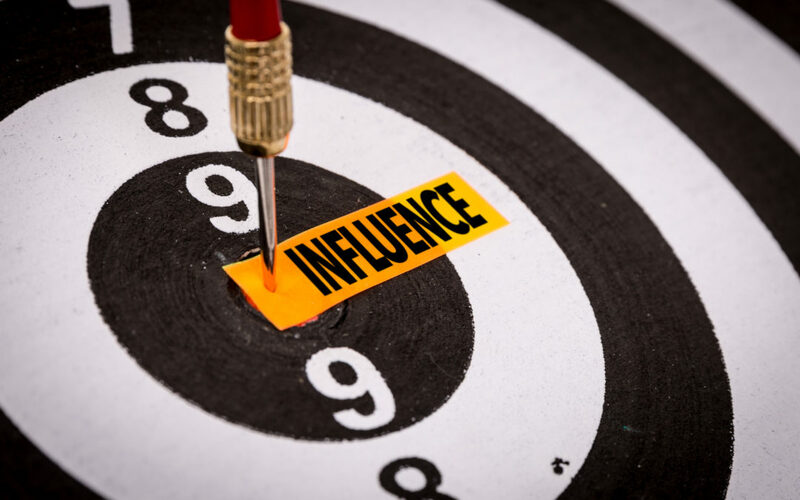 Developing innovative and evolving strategies to leverage the influencers who get you results and continually evaluating and updating your targets is essential to maximize the value of influencer marketing. Are you reaching the influencers whose voice can reach your bottom line? What is color forecasting and why does it matter?